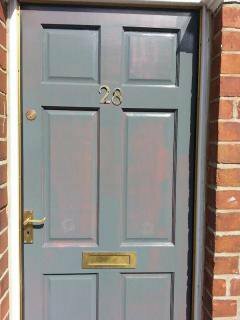 Asylum seekers living in the north east of England report that they have suffered racist abuse, thanks to their landlord making them an easy target by painting their door red. Their landlord is Stuart Monk, owner of Jomast, one of Teesside’s most powerful companies, a company which earned the Monk family £175 million last year. Jomast is the sole sub-contractor for G4S in the North East of England. G4S was given part of the Home Office £620m UK wide COMPASS asylum housing contract in 2012. Jomast’s practice of painting asylum seekers’ doors red in Middlesbrough and Teesside was exposed in a front page story in The Times “Apartheid on Streets of Britain” on 20 January this year. James Brokenshire, the Home Office minister responsible for the COMPASS contracts immediately went to the House of Commons and assured MPs that there would be an inquiry into Jomast’s asylum housing and that the doors would be repainted. Jomast boss Stuart Monk said on 26 January, when he was grilled by the parliamentary Home Affairs Committee, it would be done in “two weeks”. At dawn on Friday 20 May Esmé Madill, a volunteer working with asylum seekers, received a message from James (not his real name), an Iraqi asylum seeker who had fled Isis in Mosul and was now in a Jomast asylum house in Stockton-On-Tees. His house had a red door. And here it is (left). Esmé Madill, who had for months received reports of racist attacks and verbal abuse, rang Barry Jobson of Jomast on Friday afternoon and told him about the latest reports and demanded James and the asylum seekers in his house should be moved from the area. 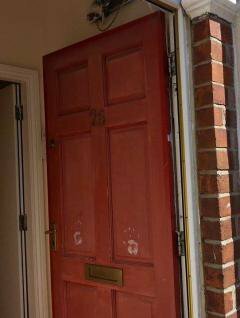 Esmé wrote: “The property continues to have a front door painted red, marking it out as a property managed by Jomast and likely to house asylum seekers. I am copying this email to G4S, as on 25 January almost five months ago Juliet Halstead head of housing at G4S said that these red doors would be painted over ‘as soon as possible’”. Around 3.30 p.m. on the same afternoon, Friday 20 May, Jomast workers arrived at James’s house and started repainting his door. Police also arrived at the property. A few minutes later Barry Jobson replied to Esmé stating that Jomast were “not aware of any racial abuse” at (that address) and that “the Police have not raised any issues in respect of (that street)”. Here (right) is the repainted door. 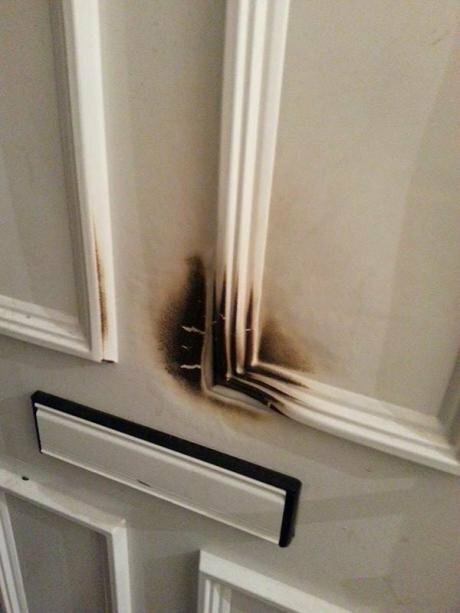 Within hours there was an arson attack on the nearby house occupied by Darfuri refugees.